Three Cascading Gainstages. Three Master Volumes. As classic as a plate of Nachos,a cerveza and a shot of Tequilla. This one can go from a slight sweet boost, edgy OD, classic 70s rock distortion to classic 70s and early 80s proto-metal crunch. 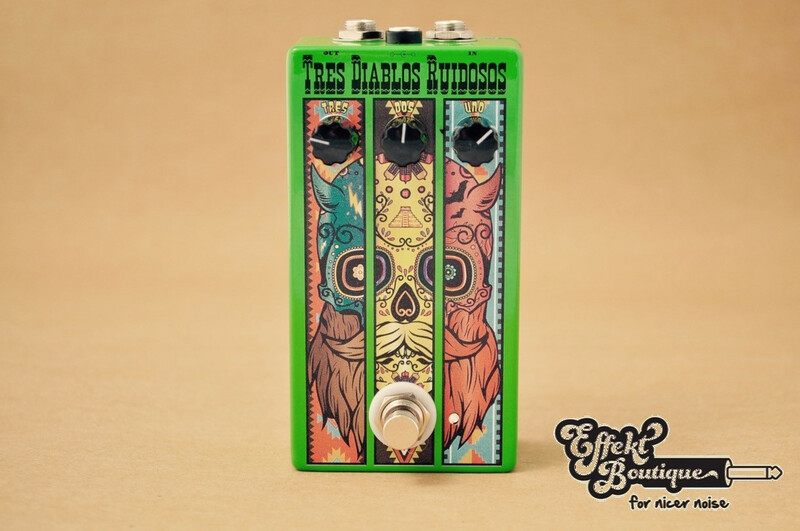 Dime all three masters and get a gnarly oversaturated fuzz. Runs with standard 9-Volt center negative Powersupply (not included). The Diablos respond well to guitar knob input so you can create layered gain working with your guitar and amplifier.